Improved Bare System Recovery with dissimilar Hardware-Support for Windows. 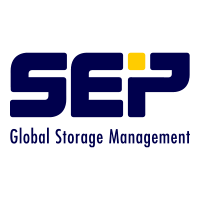 The SEP sesam Exchange Agent is now available with Exchange Recovery Pro. This enables IT-administrators to restore all Exchange items (contacts, calendar entries, e-mails ...) with drag and drop functionality. The SEP sesam SharePoint Agent is now available with SharePoint Recovery Pro. This enables IT-administrators to restore SharePoint data with drag and drop functionality. The new block-based SEP Si3R replication dramatically reduces network load while exchanging data between data centers. The SEP sesam agent for SAP now additionally supports SAP HANA. If you have any questions please contact CustomTech support or sales. What is... the Webanywhere Site App? BYOD - Is The Big Bad Wolf Dead? TheGreenBow VPN awarded "France CyberSecurity"